The Decaf Colombia was carefully roasted for you by Metric Coffee Co. Decaf drinkers want all of the same delicious full bodied, chocolaty flavor and intoxicating aromatics of coffee, just without the jitters. Metric applies their same high standards for sourcing Specialty grade decaffeinated coffees as they do their other offerings. 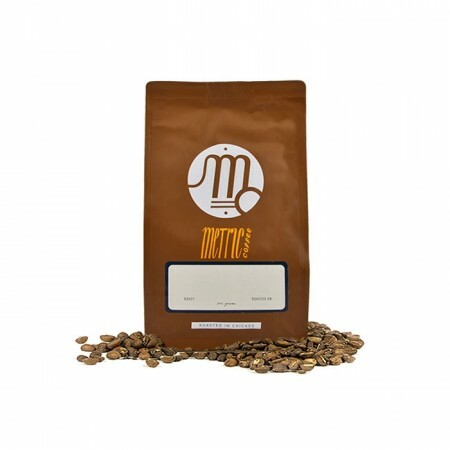 Decaf drinkers can rest assured that this coffee is just as good. This cup is round and rich with notes of dark chocolate and walnut. The best decaf I've ever drank! We enjoyed the rich chocolate and nutty taste. Will definitely buy again. This coffee smelled a little burnt in the bag but it tastes really good! Decaf...I'm sure it tastes fine, but I need the caffeine. Excellent Decaf bean! Flavors are a little more muddled than the single-origins I have been receiving but that's to be expected with decaf. Comparable to Blue Bottle's decaf offering which is probably as good as it gets. Very enjoyable as an Americano or Latte. Definitely a bag I would return to for my decaf needs. Awesome cup of coffee. I love the mixture of flavors.